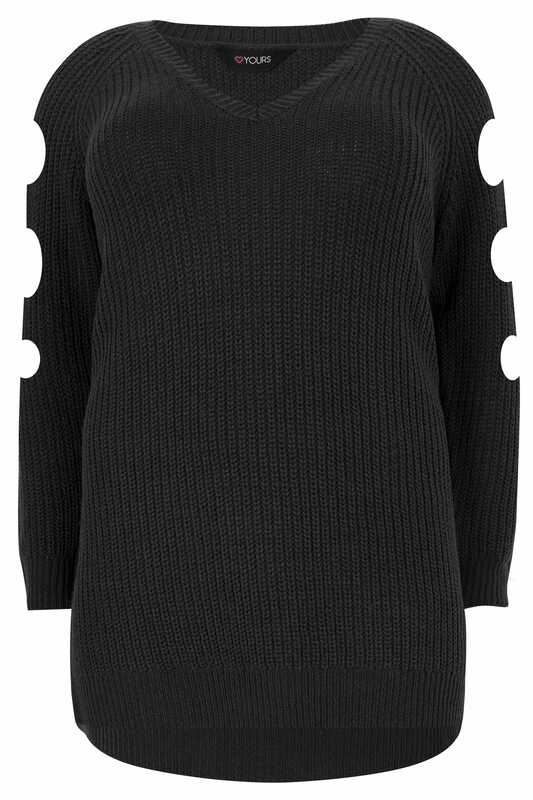 Front length from (approx): 91cm/36"
Update your knitwear collection with this versatile jumper. 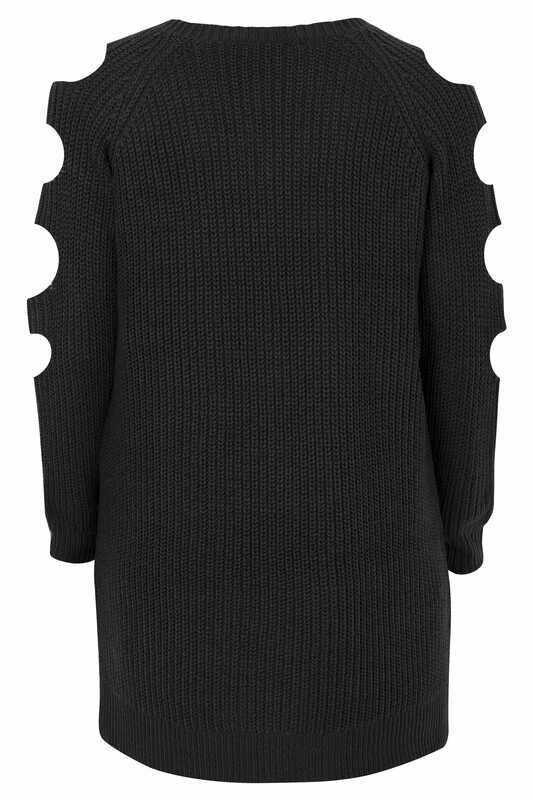 Made from a chunky knit fabric, it features cut outs down the sleeves for added edge, ribbed trims and a v-neckline. Team with a pair of leather look leggings for a chic off-duty look. We are loving the staple knit with a modern fashion forward twist.